It might be Italy's mild climate, its location near the crossroads between East and West or its intimate connection to the sea that has inspired romance for centuries. Perhaps it is all three. But whatever its source, Italy is one of the world's most romantic destinations. Gorgeous vistas, dramatic landscapes, animated people and thousands of miles of Mediterranean coastline make Italy a popular destination for couples. Venice is vibrant, yet the pace is undoubtedly romantic and luxuriously sublime. 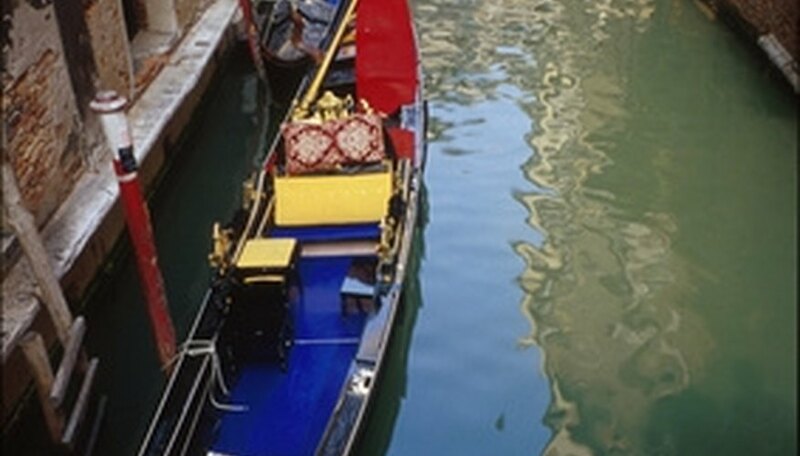 Transport consists of gondolas, boats or strolls, making Venice one of the most romantic cities in the world. There is no rushing around, no honking cars, just long walks down sun-dappled streets with Italian Renaissance and Baroque architecture in every courtyard and around each corner. Romance in Venice is an art form. You can rent a private gondolier and be serenaded as you float down narrow canals. You can stroll arm-in-arm down winding, narrow streets like young Italian lovers do. Piazza San Marco has hundreds of tables for wine drinking and dinner, where you can sip and snack al fresco and gaze into each other's eyes surrounded by the sounds of cellos in the complimentary evening orchestra concerts. In the Italian countryside, you can rent a villa and revel in Old World traditions and modern-day luxury. Daily life includes centuries-old practices such as olive growing and wine producing. The Tuscan countryside is romantic because the pace is steady and connected to the earth. You and your loved one can luxuriate in a villa for a week or more and never hear a peep from the outside world. If you prefer to see the area with an organized tour, Italy Vacations offers The Romance of Rome and Tuscany, a 7-night trip to these romantic destinations, as of October 2010. If sunsets, sparkling blue water, white-washed Italian sea towns and rugged coastlines are your ingredients for romance, Capri and the Amalfi Coast have them in abundance. RoadtoItaly offers a tour package that takes you from Capri to Positano and includes a drive along the Amalfi coast. You will see breathtaking views and stop at Ravello, the highest point on the coastline. On your first day in Capri, a bottle of sparkling wine will await you. Sip Chianti at corner cafes or wake up late and spend more than a few hours having continental breakfast on your balcony overlooking the Mediterranean. Any package you choose should include plenty of free time to explore at your leisure. Egan, Siobhan. "Romantic Italian Vacations." Dating Tips - Match.com, https://datingtips.match.com/romantic-italian-vacations-7354618.html. Accessed 22 April 2019.